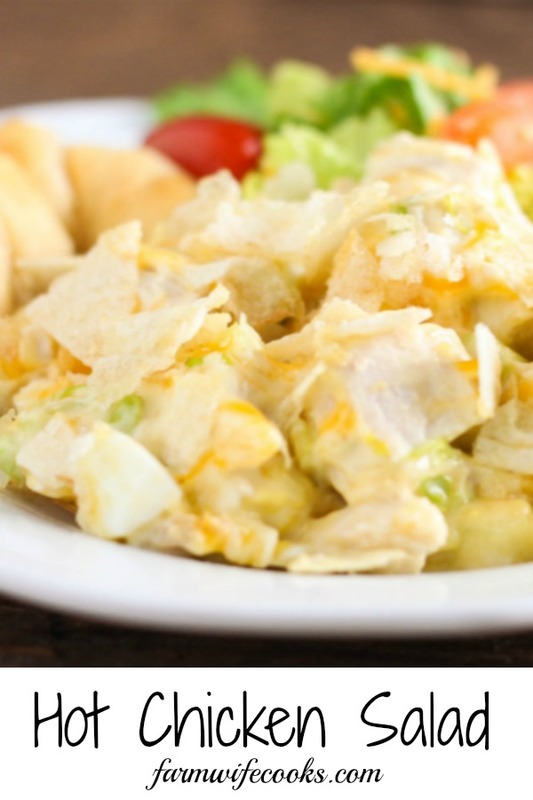 This Hot Chicken Salad recipe is topped with potato chips and is a casserole the whole family will love! 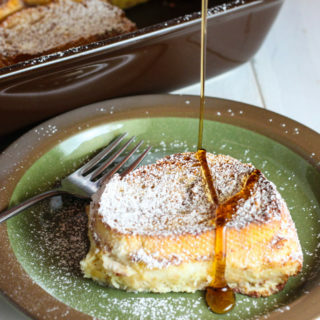 This recipe comes from a fellow farmwife and one of my extra moms. I was blessed with a handful of women who became my ‘extra’ moms or mom #2, #3 etc. Robyn was one of those! She was also the mother of one of my best friends in college and we are still friends today! I have lots of great memories of spending time at their house cooking and going to cow shows and sales together. 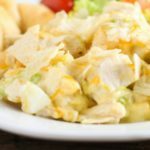 This chicken salad has many of the same ingredients a cold chicken salad would have and a couple new ones to make the casserole cheesy and with the perfect chip crunch. This recipe is a great one to use up leftover chicken breasts or rotisserie chicken. 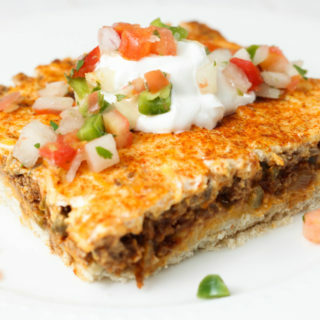 This dish would be perfect to bring to a potluck or family gathering, it’s something different but a dish everyone would love! 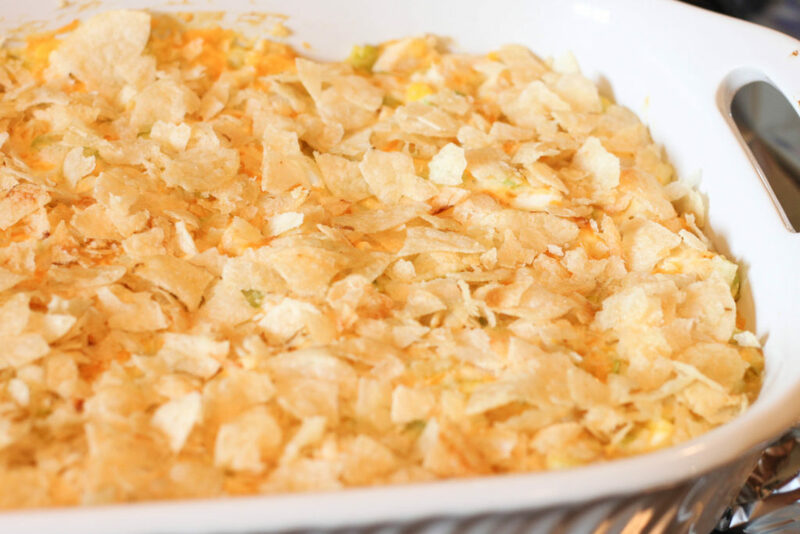 You could also leave off the chips and serve it as a warm dip with chips for an appetizer. When I think of chicken salad I think of croissants so I served the Hot Chicken Salad with one a simple side salad. 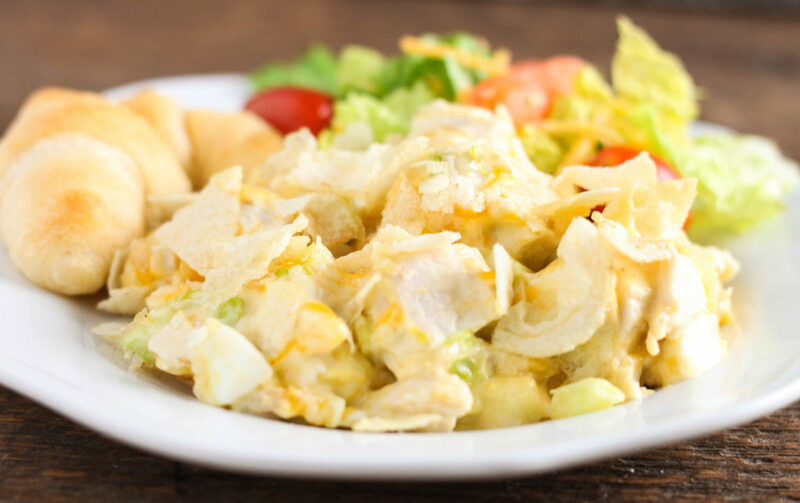 This Hot Chicken Salad recipe is topped with potato chips and makes the perfect family friendly casserole recipe. 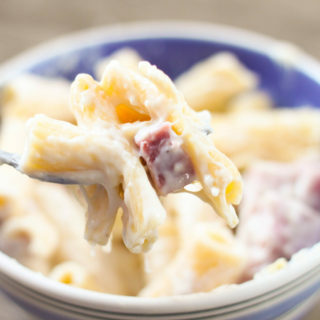 Mix all ingredients (except potato chips) together in a medium size bowl until blended together. Pour into a lightly grease a 9 x 13 inch pan. Bake at 325 degrees for 25 minutes.